They are classy, they are sleek and above all, they are super-fast. Today we bring you top five fastest supercars in the world that only those with amazingly huge pockets can afford. It is more than apparent that year after years supercars are getting high tech, expensive, hybrid and of course, more desirable. For any fan of amazing power and performance and luxury, of course, their supercars are the best when it comes to the world of motoring and current offer. The fastest car currently on the market is amazing Hennessey Venom GT manufactured back in 2012. This amazing honor of building the fastest car currently available goes to famous American manufacturer America’s Hennessey Performance Engineering. The car was tested back in 2014 at the Kennedy Space Center and it clocked an amazing time o 270,49 mph edging out the previous title holder Veyron Super Sport. Only twelve cars were ever made, so, unfortunately, the car didn’t meet the requirements in order to be awarded the Guinness World Record for the fastest car. The car has traveled fastest than any other car in the world with an engine of size 1,244bhp twin-turbo V8. When it comes to its prize, prepare to be shocked since this amazing four-wheel beauty costs only £750,000. Second on our list is French automaker Bugatti with its latest entry into the industry Bugatti Chiron. The car currently is one of the most expensive sports cars in the world, but for a good reason. Remember it is the second fastest in the world featuring amazing speed and performance. Bugatti Chiron is capable of hitting an amazing speed of 261 mph and there is a speed limiter pre-installed for safety reasons. You understand why. For its amazing power as well as potential alone, Bugatti Chiron deserved this second spot on our list. It is the second fastest, most powerful and most luxurious supercar ever manufactured. It is almost impossible to get better than this, but French manufacturer always surprises us, so we can’t wait to see what they prepare to release next. This car can be yours for only £1.9 million. There was a time when another amazing car produced by French company Bugatti simply ruled the roads. Bugatti Veyron Super Sport still rules the roads, since the car deserves this third place on our list. The car used to be a holder of that prestigious title of the world’s fastest production car in 2010. Back at that time it easily clocked at 267.91 which placed it directly into the Guinness Book of World Records. 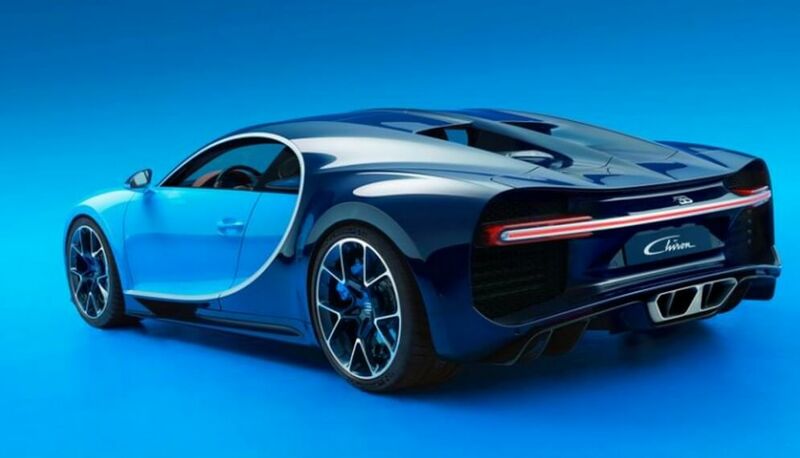 It should be noted that back in that time the car’s speed limiter was removed, but these days it is just behind its brother Bugatti Chiron when it comes to the speed and performance, even though there is an restricted race between these two. Bugatti Veyron Super Sport features 1,184bhp quad-turbo W16. In order to purchase one of these, you have to pay just £2 million. Well, it is allowed to dream. Forth on our list of the fastest cars in the proud proudly holds an amazing car manufactured back in 2014, Koenigsegg One:1 with seven examples and one prototype. The car most certainly is one of the most exclusive and luxurious production cars ever manufactured in the car industry. That is right, it can’t get better than this. The car features an astonishing one to one weight ratio which is the dream equation. It is one of the first homologated cars in the world with a single Megawatt of power which makes it the first series and first ever Megacar. The cars truly impressed and raised that performance bar featuring a stunning visual appearance and amazing top speed of 267 mph. The engine integrated into the car is 5.0 L V8 twin-turbocharged. Last but not least on our list is another Koenigsegg, Koenigsegg Agera R built in 2011. The car’s features carefully put functionality, performance, and appearance with some unique solutions enhancing both appearance and performance. There are eighteen examples of this car manufactured between 2011 and 2014. Some of the unique enhancements include side winglets, increased engine power and visible carbon on the front bumper and bonnet. The car may easily reach that top speed of amazing 261 mph which is not surprising since it features an amazing 5.0 L V8 twin-turbocharged engine. In order to afford something like this, you definitely need deep pockets and plenty of money to invest, but you get the fifth fastest car in the world, so think about it.